Jeffery, S, Magniez, F, & de Wolf, R. M. (2013). 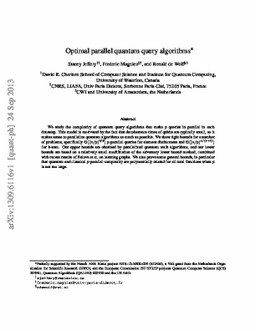 Optimal parallel quantum query algorithms. arXiv.org e-Print archive. Cornell University Library .